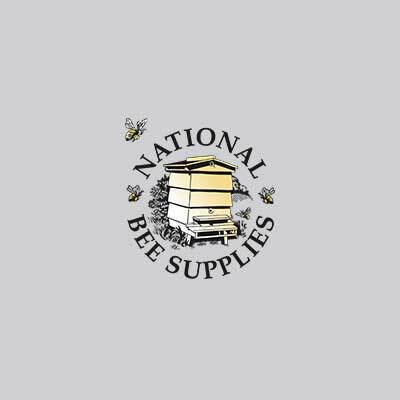 National Bee Supplies is now officially part of the Suttons group, the only seed company to have the Queen's Royal Warrant. The Devon based group has been well known for its quality seeds, bulbs and plants for over 200 years. It is with enthusiasm and pride that we welcome NBS to the group. As a result, customers will benefit from an expanded range, investment in the latest apiary innovation, access to a wide range of bee friendly planting and seeds, as well as our outstanding range of handmade hives. The team are committed to excellent customer service and supporting you through your bee keeping journey with expert knowledge, top of the range products and outstanding value starters kits. We look forward to hearing from you soon! What to look out for when buying your hive! Our handmade artisan hive range are made to exacting requirements and checked against the highest quality control standards, making them one of the very best hives on the market. When you purchase a fully assembled hive from NBS, you know you are purchasing quality every time. What cut of wood has been used to build the hive? We don't skimp on the quality of the wood used in our hives. Only the premium cuts of wood are used. We cut from the centre of the sections, avoiding the sapwood that will rot easily and the touch wood at the centre which is prone to cuts, splits and knots. Is the hive made from seasoned timber? 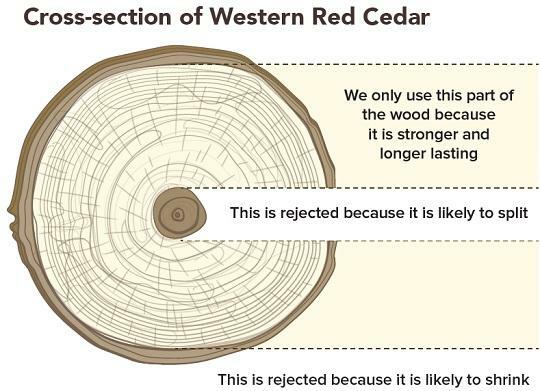 Why is seasoned timber so important? Unlike other bee hives on the market, our timber is seasoned - this means cut and dried for many months, sometimes years, before we use it to build your hive. This ensures a much finer finish, and there will be less chance of wood shrinkage, splitting and twisting. Our comb joints will always fit snugly, with no need to use unsightly nails. (Properly dried wood also allows ease of assembly when purchasing flat pack goods.) That’s why we offer you a 10 year guarantee. Should I buy my hive ready assembled or flat packed? Our craftsmen use Cascamite (powder resin wood glue, stronger than wood itself) to seal all joints, and sand them all for a perfect smooth finish. No gaps in the joints means better insulation for the bees and sealed entry points for predators. Our fully assembled products give you reassurance and peace of mind, while our flat-packed product will fit together perfectly. Does the hive contain plastic parts? We always use quality galvanised metal for our varroa floors, trays and runners. This not only makes our parts longer lasting and hard wearing, it also means that they can be blow-torched clean when sterilising your hive. How important is the finish on my hive? 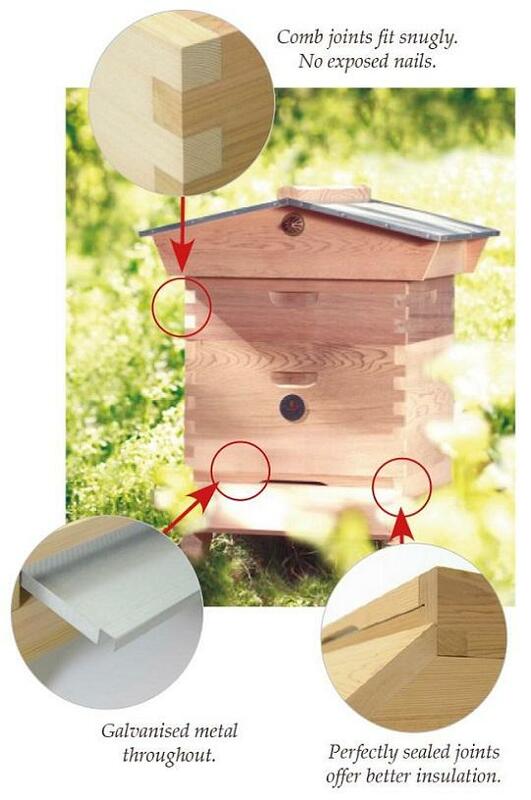 All our hive parts, including our cover boards are expertly finished, ensuring you a top-quality product throughout. The craftsmanship used in the joinery ensures water is kept out, essential for a healthy hive.